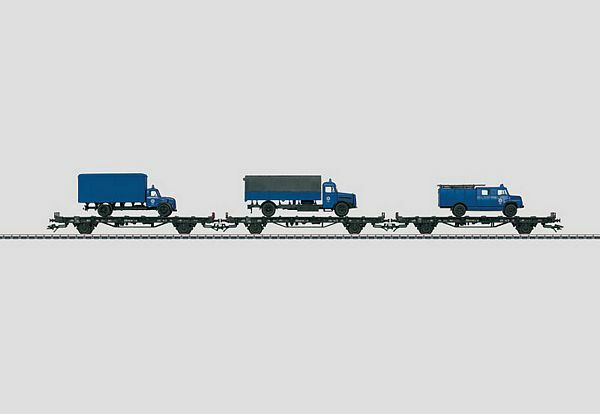 Model: The 3 flat cars have a long wheelbase, truss rods, and removable stakes. The cars have different car numbers. The vehicles come in authentic emergency aid paint schemes. The flat cars with their loads come individually packaged and marked. Total length over the buffers 47.6 cm / 18-3/4. DC wheel set 6 x 700580.